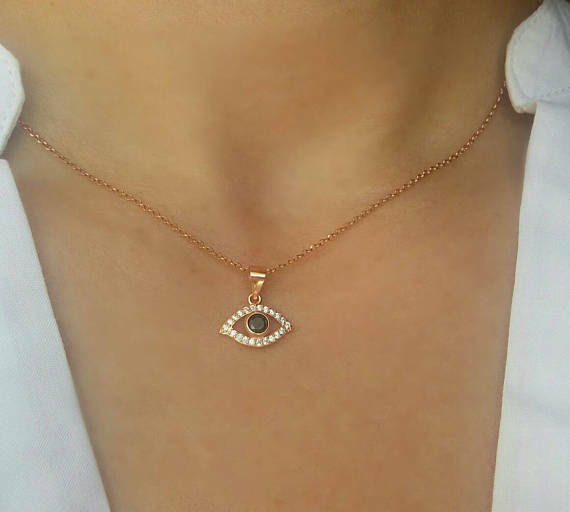 An astonishing rose gold filled necklace set for everyday appearance. 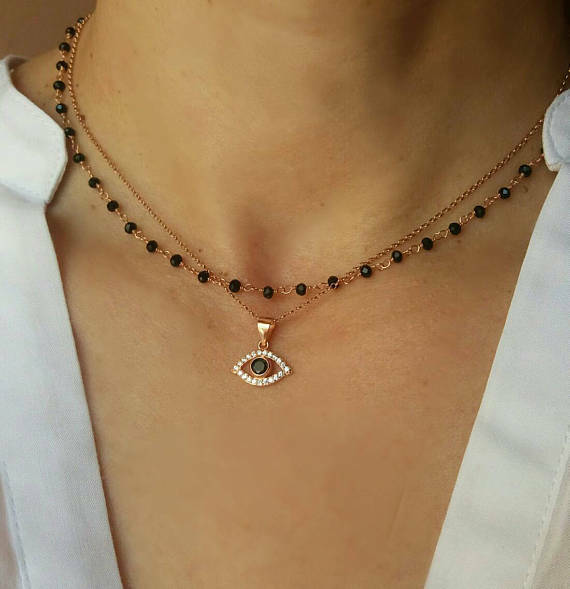 An elegant evil eye necklace combined with a shiny rose gold filled rosary with onyx beads. 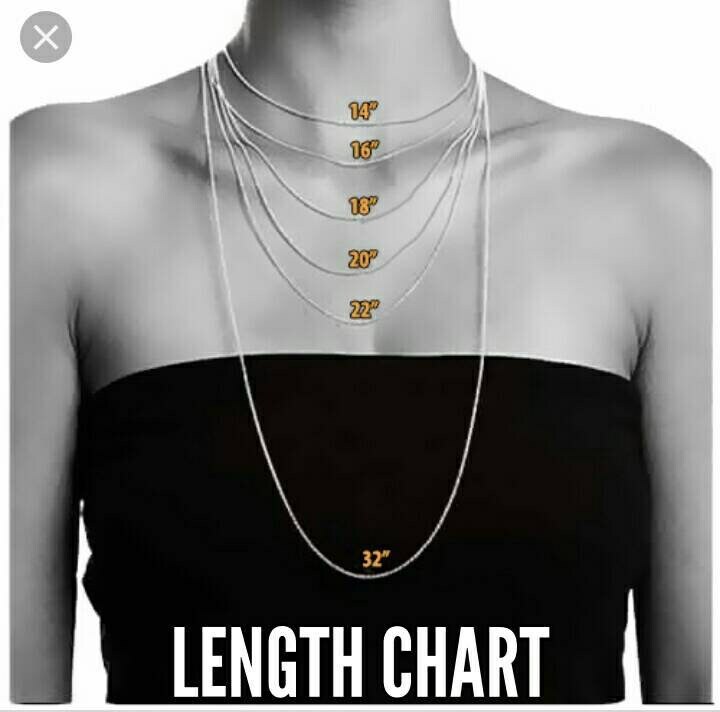 It is elegant and dainty but still eye catching. Ideal for bridesmaid gift or anniversary gift.